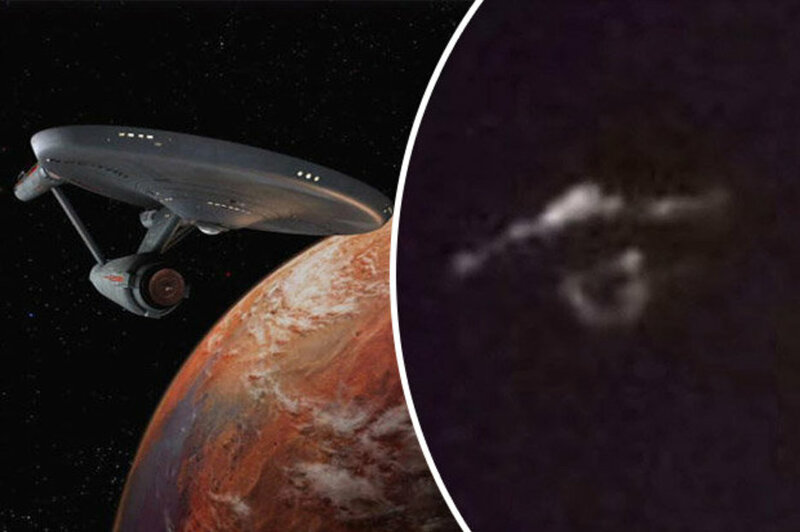 A ‘Star Trek’ style spaceship has allegedly been spotted hovering in the sky in Canada. Images of the strange object were captured by a self-proclaimed UFO sceptic who admitted he was the ‘last person’ to believe in aliens or extraterrestrials. The video has been uploaded to YouTube by Tyler Glockner, UFO hunter and founder of Secureteam10. In the clip, Tyler says: “Something [has been] caught flying in the skies over Canada. The strange object was spotted over Random Island in Canada, by a man named Chad Haines. After handing in the footage to a Canadian news site, Mr Haines admitted to reporters that he was the last person to believe in aliens , extraterrestrials or UFOs. But after witnessing the unidentified craft hovering in the sky near his house, he says he now can’t explain what else it could have been. Haines was deleting images off his camera in preparation when he stumbled upon photographs he’d taken earlier in the year. He said the object was hovering over water ‘near to the moon’ and was visible for two to three hours. After remaining still for most of that time, the object then moved up and down before rapidly shooting off out of sight. Haines says the object definitely wasn’t a plane, and said the UFO was far too large to be a drone.According to Tyler, a sighting in the same place was spotted more than 37 years ago in 1978.This time, it was a strange cigar-shaped craft hovering over Random Island. The police officer who spotted the object was subjected to so much ridicule that he barely mentioned the sighting ever again.